Hammond's latest release features 19 songs, including: A Closer Find a Way * I'mWalk * I Will Find a Way * I'm a Solider in the Army of the Lord (Interlude) * Make Time for Love * What Can I Give * Your Love Is a Wonder * and more. A multi-instrumentalist, producer, and vocalist for the soulful black gospel group Commissioned during the 1980s and '90s, Fred Hammond also became one of the most popular praise & worship leaders in the field. Born in Detroit, Hammond began singing with his church choir at the age of 12. He played bass and sang with the Winans during the early '80s, then joined Commissioned later in the decade, showcasing his superb arranging, production, and songwriting skill as well as his soaring vocals. Hammond's concurrent solo career began in 1991 with I Am Persuaded, and he released additional albums for Benson, gradually embracing an in-concert feel even on his studio recordings. His fifth studio album, Purpose By Design, was released under the Verity label in 2000. In Case You Missed It...And Then Some followed in 2001. 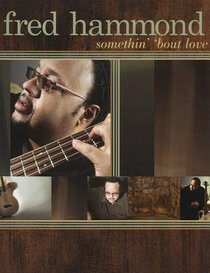 Hammond set up his own label imprint, Hammond Family Entertainment, and released the CD/DVD set Life in the Word in 2010. God, Love & Romance followed in 2012.